Dr. Fatima Cardoso is a Medical Oncologist and Director of the Breast Unit of the Champalimaud Clinical Centre in Lisbon, Portugal. She is also Chair of ABC Global Alliance, Coordinating Chair of the ABC ESO-ESMO International Consensus Conference, ESO Breast Cancer Programme Coordinator, and member of ESMO Board of Directors. She is actively involved in further committees from numerous professional organizations such as ESMO Guidelines Steering Committee, ESMO Public Policy Steering Committee and EORTC – Breast Group Steering Committee. She is the Editor-in-Chief of The Breast Journal, Associate Editor of the European Journal of Cancer and an Editorial Board Member of several other journals. She has authored over 280 publications and has presented her work nationally and internationally. Dr. Alexandru Eniu is a senior medical oncologist in the Department of Breast Tumours at the Cancer Institute “Ion Chiricuta” in Cluj-Napoca, Romania. He holds both the MD and PhD degree in Medical Sciences from the University of Medicine “Iuliu Hatieganu” in Cluj-Napoca. Dr. Eniu has an extensive experience from visits abroad. He was awarded a Mayo Foundation Visiting Clinician Scholarship at the Mayo Breast Cancer Clinic in Jacksonville, Florida and has been a visiting clinician at the MD Anderson Cancer Center in Houston, Texas and the Memorial Sloan Kettering Cancer Center in New York. He did a fellowship at the European Institute of Oncology in Milan. As an active member of both national and international societies, Alexandru Eniu holds positions in various committees. 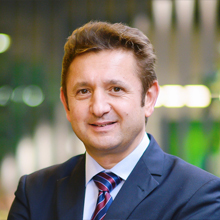 He was recently appointed Deputy Scientific Director of the European School of Oncology after serving for several years as coordinator for the ESO Eastern Europe and Balkan Region Program. Within ESMO, he chaired the ESMO Global Policy Committee and, between 2014-2018, he was a member of the ESMO Executive Board, leading several initiatives tackling disparities in cancer outcomes across Europe and the world. Within ASCO, he served as chairman of the ASCO International Affairs Committee. Furthermore, he is a member of the editorial board of several oncology journals including Annals of Oncology. He participated in the process of developing international and national guidelines for the management of cancer patients, serving as the Co-Chair of the Treatment and Allocation of resources Panel of the Breast Health Global Initiative and as panel member of the Advanced Breast Cancer (ABC3 and ABC4) International Consensus Conference. He wrote 4 book chapters and more than 80 articles in international peer reviewed journals within his specialty breast cancer. Patti Jewell is Senior Director, Public Affairs for Oncology in Pfizer’s Corporate Affairs Division. 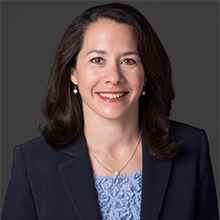 Patti leads Pfizer’s strategic engagements on global and US cancer policy and public affairs matters, focusing on breast cancer related issues as well as a portfolio of pan-tumor topics. Prior to this role, Patti worked in Alliance Development, State Government Relations and Grassroots Advocacy for Pfizer, and was a Legislative Assistant to a United States Senator before joining Pfizer. She received her Masters in Public Administration from New York University and bachelors degree in Political Science from the University of Michigan. 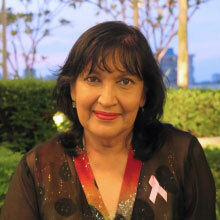 Ms Ranjit Kaur, a breast cancer survivor since 1998, and Patient Advocate, is the President of Breast Cancer Welfare Association Malaysia and Chairman of Together Against Cancer Association Malaysia. She is also a Board Member of Reach to Recovery International. Ranjit held the position of President of Reach to Recovery International (2003-2007), and Board Member of the Union for International Cancer Control (UICC) (2006-2010). She regularly gets invited to speak and participate in cancer control conferences locally and internationally. Josh Newby is an active trained advocate for breast cancer research. Co-founder of Theresa’s Research Foundation with his mother Theresa Newby Harpole. Both Josh and his mother are carriers of BRCA II. His mother passed away in 2013 and the foundation continues on with her vision to fund metastatic breast cancer research and improve the quality of lives of those impacted by metastatic breast cancer. The Foundation hosts an annual medical conference for metastatic breast cancer. Josh also serves on the board of the Metastatic Breast Cancer Alliance and he is a Komen Advocate in Science. These experiences have profoundly shaped his life and as a result he committed his life to helping improve the lives of all those impacted by breast cancer. 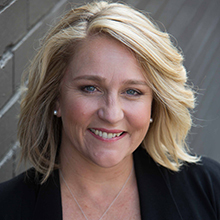 Kirsten has an exceptional understanding of the cancer sector having spent over a decade at BCNA and five years at Cancer Council Victoria where she was responsible for delivering communications and campaigns around prevention messages. Kirsten has a deep connection to Australians affected by breast cancer after spending 18 months travelling around Australia interviewing more than 3,500 women and men about their experience of breast cancer treatment and services to find out where the gaps in service delivery are occurring. The findings were outlined in the State of the Nation report, which was delivered to Federal Parliament in June 2018. Dr Torode is Director of Special Projects for the Union for International Cancer Control (UICC). Julie likes to deliver results and work with focus and purpose highlighted by key advocacy wins across the spectrum of care and disciplines in recent years with UICC and NCD Alliance detailed in global commitments in the WHO global action plan on NCDs, the 2017 cancer resolution and the Sustainable Development Goals. With a PhD in Chemistry from the University of Liverpool and postgraduate work in Education, Julie entered the health arena and field of oncology through leading clinical trials work across phases 1-IV, with a particular focus on breast and gynaecologic cancer while, also nurturing an ongoing interest in cancer prevention. 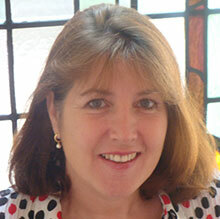 Julie joined UICC in 2008 and has worked in the senior management team to develop the organisation. Professor Theresa Wiseman holds a joint clinical chair of applied health research in cancer care between The Royal Marsden NHS Foundation Trust and the University of Southampton. Nationally she is a member of the UK Department of Health/Macmillan funded Consequence of Cancer and Treatment Collaborative (CCAT). Theresa is an Executive Board Member (secretary) of the European Oncology Nursing Society (EONS) and a member of the EONS Research Advisory Group. She is an international member of Faculty of the Australian and New Zealand Urology Research Group (ANZUP). 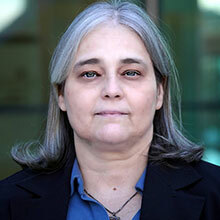 She is an international invited speaker, has published widely and presented her work nationally and internationally. She is passionate about applied health research but more so that the findings are translated into practice and make a difference to patient care. All her studies to date have been translated to practice.